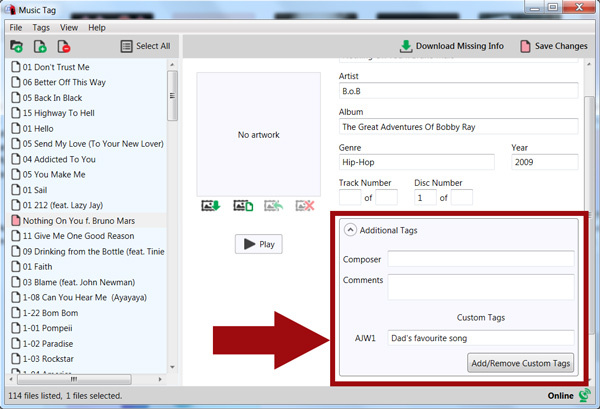 Add any tracks to Music Tag which you would like to edit the tags of. Once the tags have been edited, click Save Changes. Sometimes, you may wish to edit the tags of your music tracks manually. 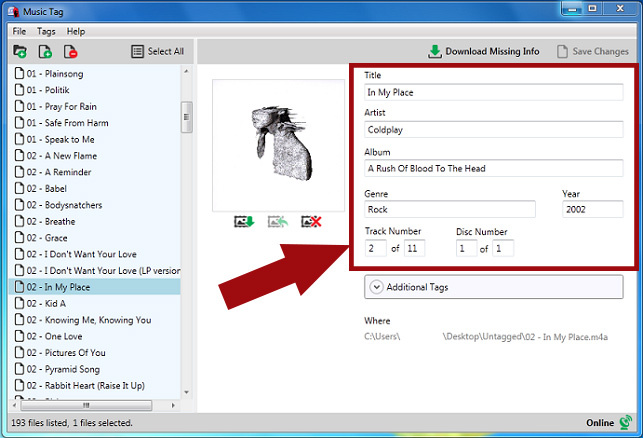 You can do this easily by using Music Tag. 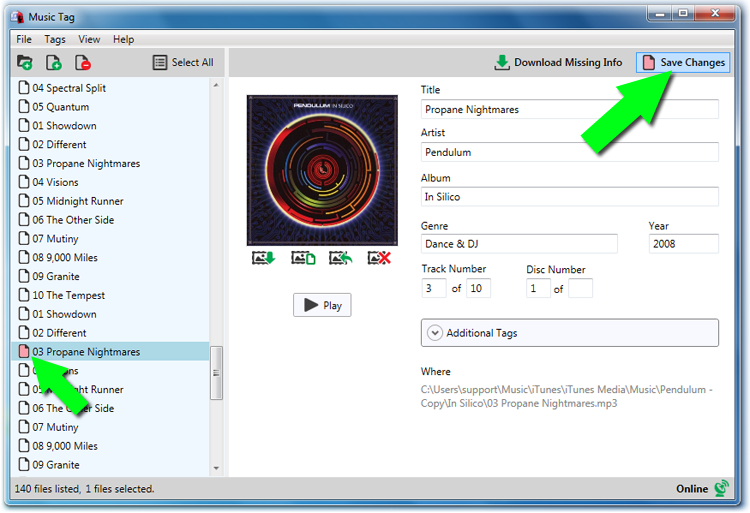 To manually edit existing tags, launch Music Tag and add your music to the application. 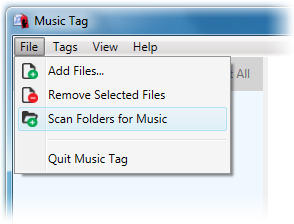 You can do this by dragging tracks from iTunes or folders into Music Tag; by going to File > Add Files... in Music Tag; or scan for music in folders by going to File > Scan Folders for Music.